This entry was posted on November 20, 2010 at 10:17 am	and is filed under PerformancePoint. 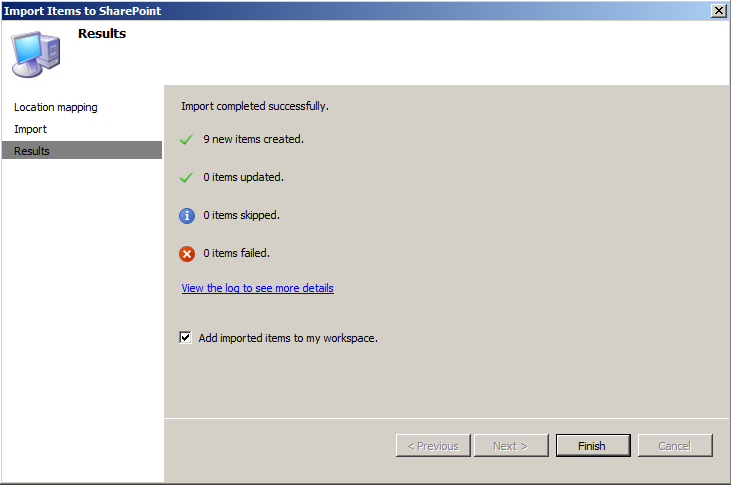 Tagged: performancepoint, sharepoint. You can follow any responses to this entry through the RSS 2.0 feed. You can leave a response, or trackback from your own site. 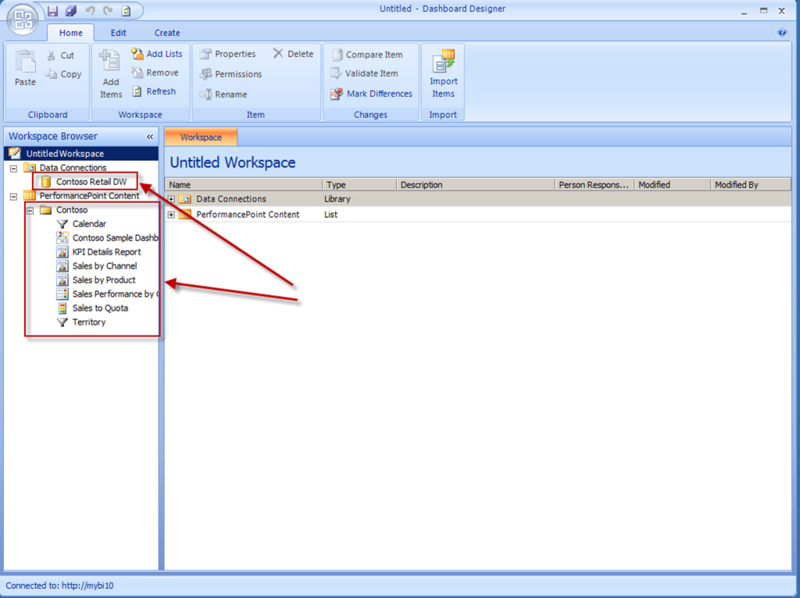 If you first save the workspace file in your Dashboard Designer, then import it into the new DD window on the new server, you will need to edit the Data Source the FIRST time you migrate. Subsequently, it’ll pick up the original DS in the new server, and skip it. Yes, you would definitely need to update the connection information for the new environment, this does not resolve that at all. This only provides a way to pull in the data sources and content to the new server. The data sources would need to be updated appropriately. There is a tool though that can help with that like the BIRAP that was available for 2007 on CodePlex now – http://code.msdn.microsoft.com/ppscd. Just a point – you HAVE to create the data source in your dev environment the first time in order for this to work. Don’t have time to say too much, but I just want you to know that this has helped me out a great deal! I do have a question, though. It seems that for this solution, you have to be connected (or be able to connect to both environments). The problem with this is that if we want to migrate all our content to a client site where we don’t have both connections, this method does not suffice (if I am understanding this correctly). Do you know of a way that migration is possible without having these connections to both environments? Have you taking a look at the solution available on CodePlex – PerformancePoint 2010 Content Deployment Tool – http://ppscd.codeplex.com/. For the first one, I don’t believe the connection has to be there for the original source at all, but you do need the dashboard workspace file to work off of. I believe you need to make sure the data source gets pulled in and you should be okay. I know I have done this, so let me know if you run into any issues. So regarding the Filter Button and Saving the filter selection as defaults, I would like to understand where the selection are actually saved? Is it in the SharePoint database somewhere (I hope so)? The reason I am asking is because these sorts of functionalities often rely on cookies, which the user can obviously clesar down for a number of reasons and therefore undo their selections. 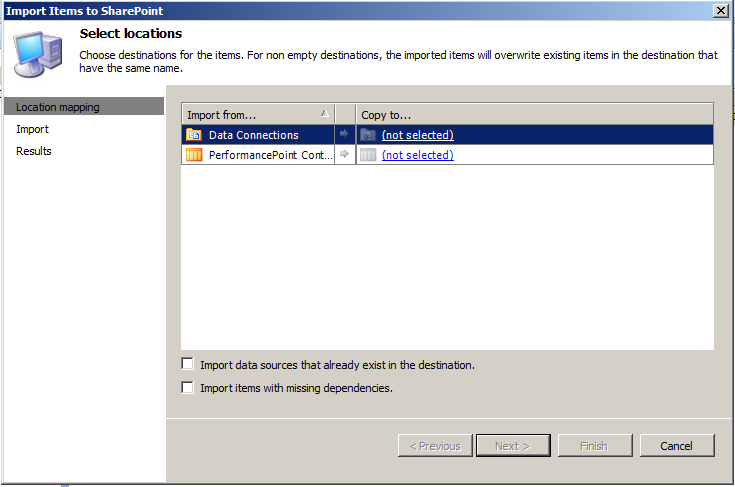 It stores the parameter values in the PerformancePoint Service Application database in a table called PPSParameterValues. 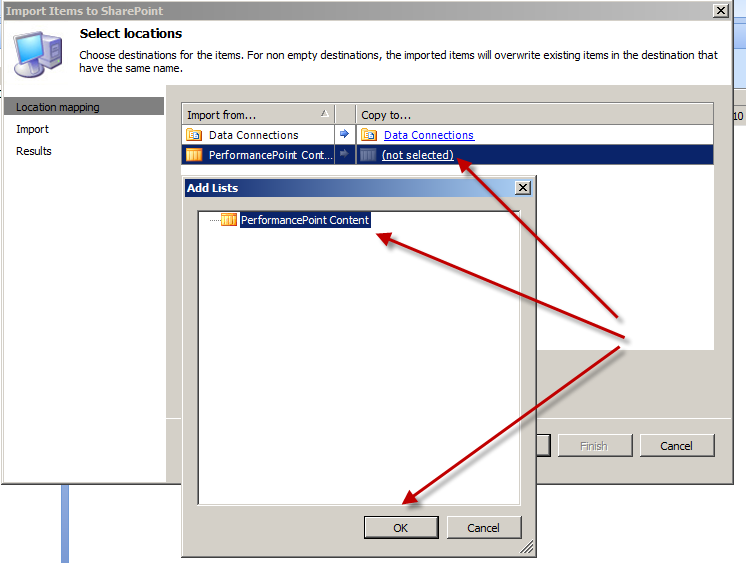 They will be retained for the number of days setup in the PerformancePoint application settings in Central Administration. If you do not use the Apply Filters option on a page these simply get updated each time the user submits. With the Apply Filters option they have the ability to control when these get updated in the database. By default the parameter values are stored in the database for 90 days. 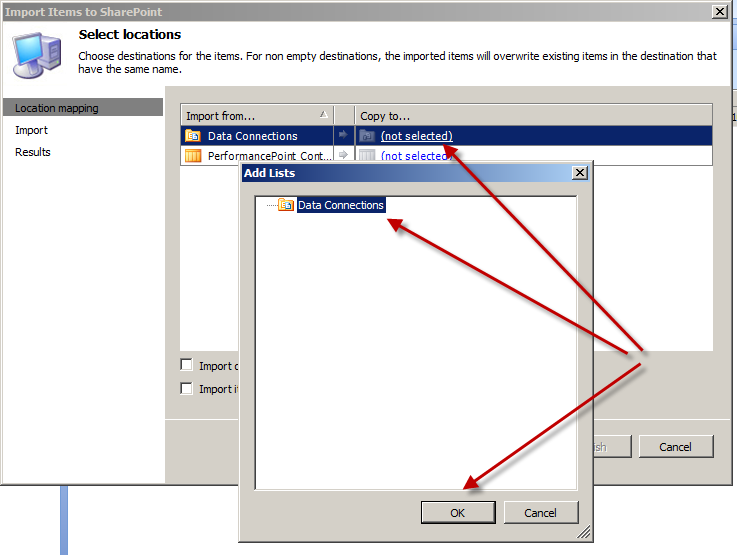 You can review the stored procedures in this database to see how these get added and removed. 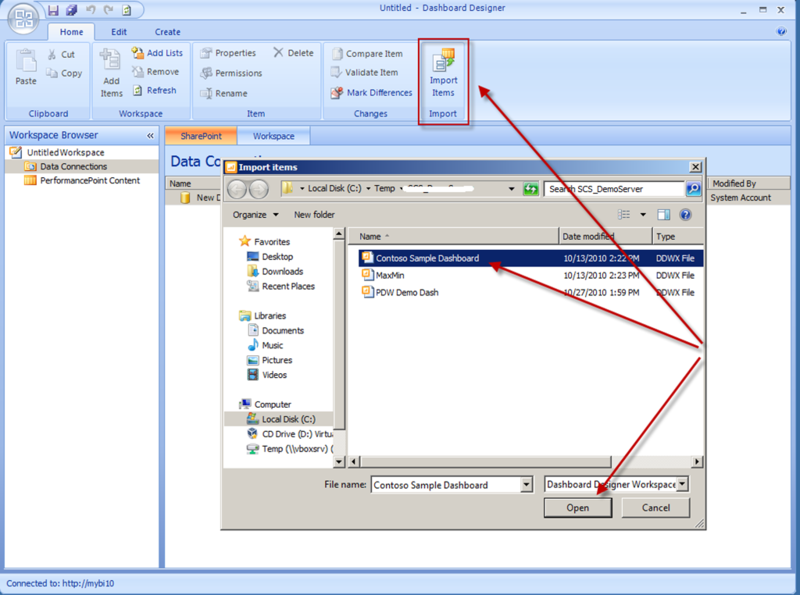 Here is another interesting posting back from PPS 2007 you might find interesting – http://blogs.msdn.com/b/performancepoint/archive/2008/02/12/always-display-default-filter-selection-in-dashboards.aspx. So what happens if I just use a “stsadm -export” from my test/dev system of a site that includes a Performance Point BI solution w/ Excel Data connection (the type where the .xls is pushed into the data connection file) and then use “stsadm -import” to import the site into production? 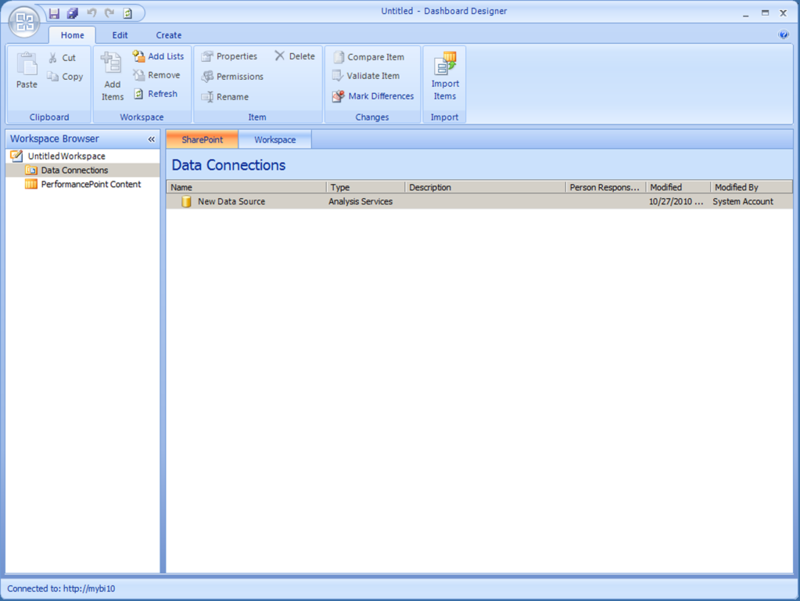 Lets assume I have no SQL or External XLS file type connections. 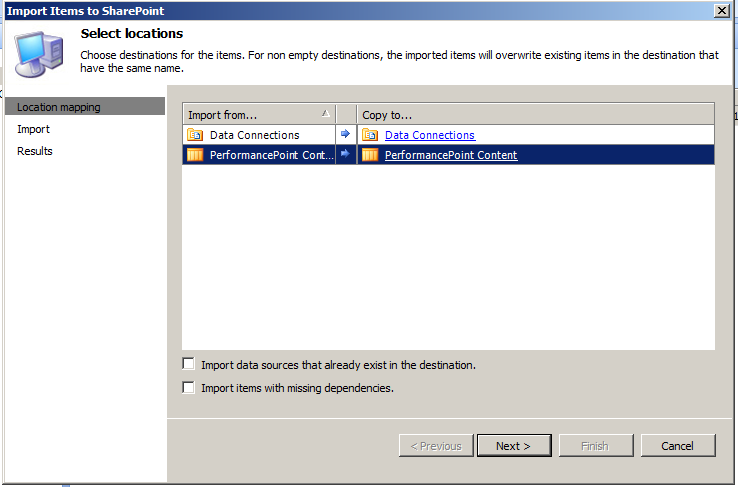 Will that method NOT work to Migrating PerformancePoint 2010 Content? I having problems where the production site will now not allow use to build any new data connections (of any type) inside the BI site that was migrated.